Mad Men didn't aim for any one definitive conclusion, but rather, a look at where the lead characters are and/or where they're headed. Pete and Trudy are jet set on the midwest, where I like to imagine they find happiness and stability. Joan is single-momming it and running her own business. Her admirable determination to forge her own path makes me optimistic that she'll find success. Roger and Marie are cozy in a cafe together, pondering their golden years. While Betty Draper sits in her kitchen, looking a bit less glamorous than usual, smoking her cigarettes and reading the paper as Sally does the dishes. It may be the saddest moment in the conclusion of the series, but in a way, we get to see Betty being Betty one last time. 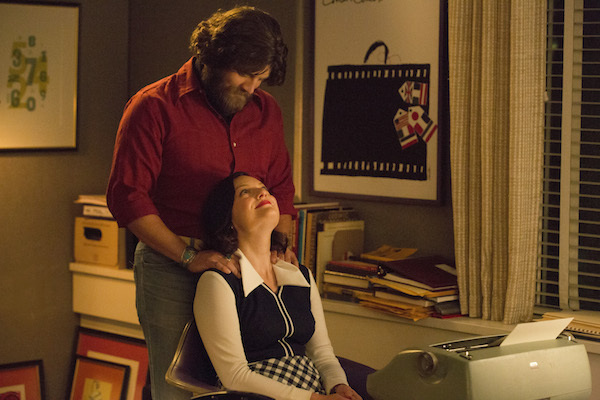 Peggy is last scene tapping away at her typewriter, while Stan comes up behind her to rub her shoulders. It's a perfect glimpse at what works so well about their relationship, which is "new," but doesn't seem new at all. The implication seems to be that Don Draper came up with the iconic commercial, and that the smile was his new idea, tying his recent journey into a revelation that will bring him back to the top. If that's the case, we can presume he returned to New York with this bit of brilliance in his pocket and rose to glory, his sudden departure surely forgotten. The girl Don spoke to dressed and had her hair done remarkably similarly to the women in the Coke ad, perhaps suggesting that she was the inspiration. We also saw Don eyeing the Coca Cola machine in the penultimate episode, so we know the campaign wasn't far from his mind. Of course, it's all up for interpretation, as some might feel less optimism about Don Draper's future than others. For those curious about how the Coca Cola ad really came to fruition, EW has a great article on it. 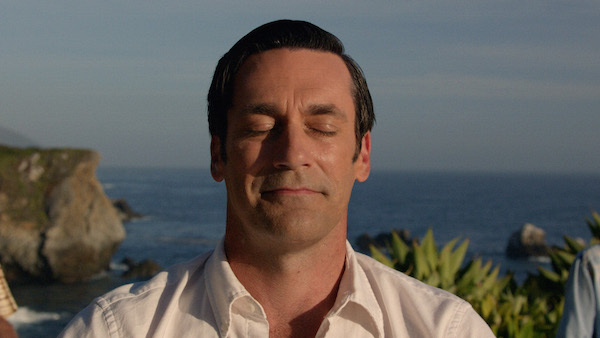 As for Mad Men, the AMC period drama is going to be missed, for all of its amazing costumes, hairstyles, historical and pop culture references, and for its characters and their stories.